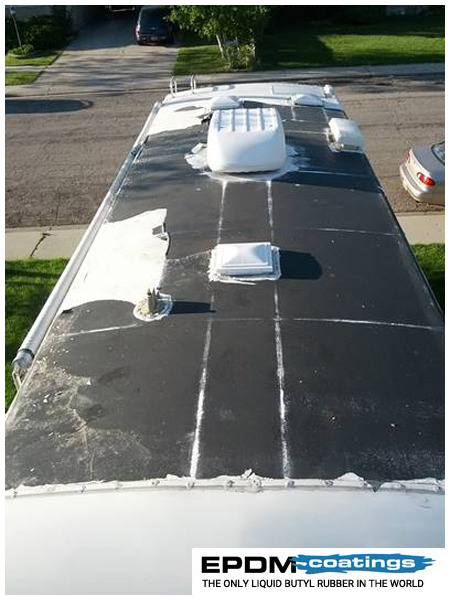 Last fall I used Dicor's EPDM Rubber Roof Coating System to reseal my RV roof. It went on thin and looked like I put a layer of white paint on. Since my roof is so old, it was entirely black and chalky. When I painted it on it would turn gray as the black chalky residue would mix with the white roof sealant. The roof didn't last long as it would wrinkly up and tear easily if it rained and was almost entirely peeling off after sitting for the winter with snow and ice on the roof as you can see from the before photo. 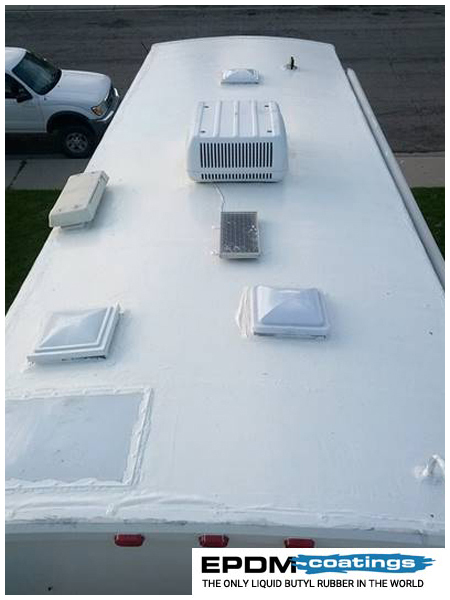 This spring I used RV Liquid Rubber from EPDM Coatings and that stuff worked amazing! I thought it would mix with the black chalky residue when I was applying it like the last kind but surprisingly it didn't. The roof feels completely solid and I have no doubt that it will last 10 years. It doesn't wrinkly and tear when it gets wet like the last sealant and I can walk on the roof when it's wet. 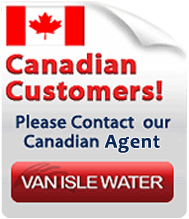 Overall I would definitely recommend this product and will only this product on future RVs! 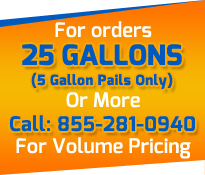 Thanks EPDM Coatings for a great product!